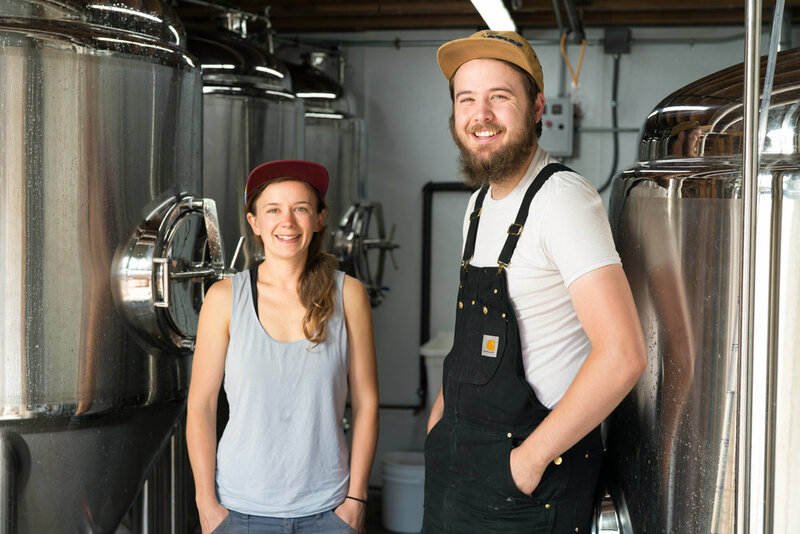 Armistice Brewing Company is a sibling-owned and operated brewery that takes a decidedly experimental approach to brewing. We specialize in highly aromatic, juicy, hazy IPAs with hardly any bitterness. We rarely brew the same beer twice and our constantly-changing lineup often features silky smooth milkshake IPAs, PiePAs, fruit-forward juice bombs, big stouts, and beers that border on the ineffable due to their use of innovative local ingredients and methods. Most of our beers transcend style boundaries, but we also suffer from a perennial and unprofitable passion for traditional English-style ales, which manifests as an ongoing flirtation with commercial suicide. We can what we can, and when we do they often sell-out on release day, so please buy yours online pre-sale to guarantee your pickup. And if you miss out on a release, relax. We’re not curing cancer or ending climate change over here. It’s just beer. Beer is just water, yeast, hops, and malt (and whatever else we feel like adding to it! ), but while it’s simple in composition, it’s radical in function. We believe that beer has the unique ability to bring people together, whether they be friends, strangers, or even Professor Henry Louis Gates, Sergeant James Crowley, Obama, and Uncle Joe. We believe that at its best, beer makes it easier to have a conversation with someone whom you might not otherwise. When it's doing its best work, beer bridges differences and fosters understanding. When you visit our taproom near the water in Richmond, you’ll notice that it has a lot more in common with the old idea of the public house than with modern brewery taprooms. Armistice is only a stone’s throw from the Kaiser Shipyards, where Rosie's of all colors and backgrounds collaborated to build the ships that would bring World War II to a close. We like to think that we're brewing beer with the same spirit of peace, collaboration, and inclusion, and we invite everyone to come enjoy a pint with us. We decided to go small and open our own taproom because we want to ensure that our beer is served the way it was intended -- at peak freshness, right from the source, and in the kind of variety that we appreciate. Because our taps turn-over fast, we'll always have something new for you to try. As siblings, we know first-hand how beer brings people together. The name Armistice gestures toward Richmond's place in twentieth-century geopolitics, but it also describes what brewing beer did for our relationship as brother and sister. We started brewing together as a way of coping and catching up not long after our mother was diagnosed with cancer. When mom’s health took a turn for the worse we left Los Angeles, where Gregory was pursuing a career in film and television and Alex was finishing her doctorate, and moved to our family’s home in Napa to help care for mom. We continued brewing beer together in our family’s big red barn and after winning several prestigious beer competitions we started hatching plans to open a commercial operation so we could share our beer with more people. After our mother passed in 2015 the barn was torn down, but we saved the wood to incorporate into the taproom bar in a nod to our family roots.